Cheers to a super weekend! Denim Shorts: Thumbs up or down? Wake Up. Get Dresses. Look Good. Slip-on Sneakers: Thumbs up or down? Lilac For Spring: Thumbs up or down? Ombré Spring Hair: Thumbs up or down? Cheers to a Breezy Weekend! Easiest popsicles ever - fun! It certainly didn't feel like summer this weekend in London - 40s or 50s and rain rain rain. Blah. I'm ready for it though, whenever it decides to show up! I make smoothie pops all summer long. healthy and delish! 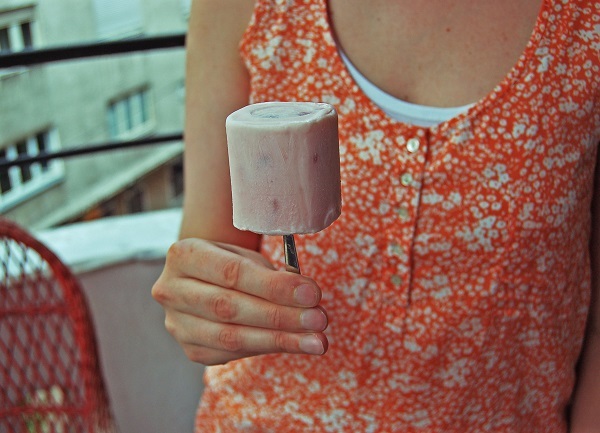 What a clever idea to make a healthy popsicle!